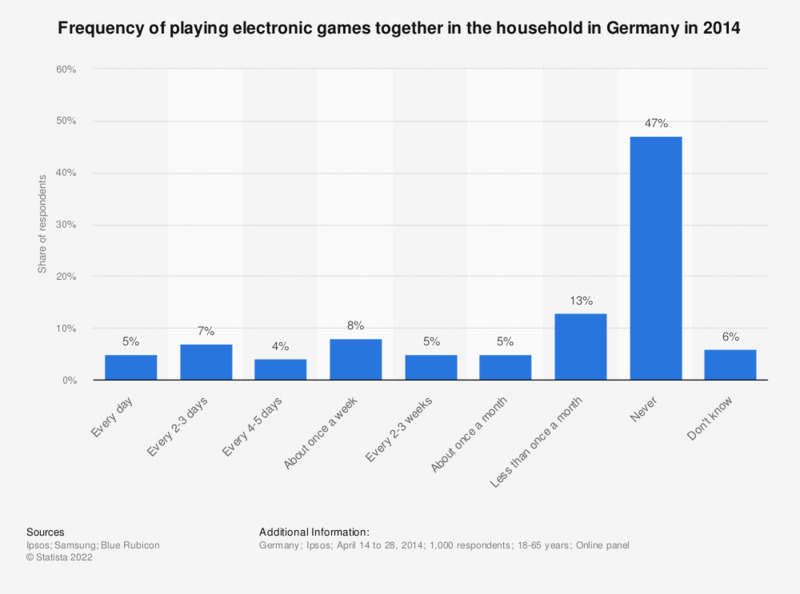 This statistic illustrates how often people in Germany played electronic games with other household members in 2014. During the survey period it was found that nearly half of German repondents stated to never play electronic games with other household members. The question was phrased by the source as follows: "How often, if at all, does each of the following take place within your household?" How large share of your household work do you estimate that you are doing?